As this cuisine only be eaten during family gathering, it is very rare for you to find a restaurant that serve this in their menu. There is a few, and yes, only a few to mention. There is one particular restaurant committed to announcw their specialty in this cuisine. Sagomas restaurant. Located at Lumat centre near beaufort, this retaurant will be on your right on your way to beaufort town. For me, this new restaurant is exceptionally acceptable. 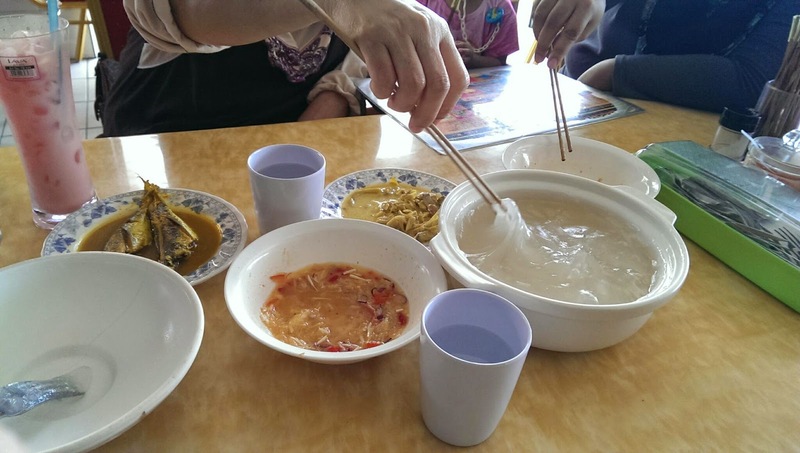 The ambuyat serve similar to the traditional ambuyat serve by my family. If you never taste one, you can taste ambuyat here. I don't like ambuyat that much even I am a malay brunei. If you are like me, rest assure because there are plenty of other good menu here. Try their Mee kari banjir, ayam penyet and variety for stir fry food. 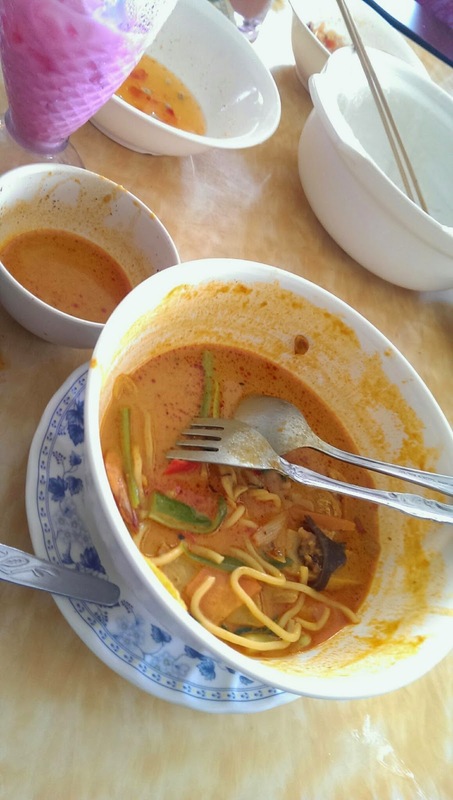 Mee kari banjir is a must if you do not eat ambuyat here. Overall, taste wise i gave 4/5, the restaurant is new so it is clean, the staff os friendly. If you are on your way to Sarawak, brunei, sipitang or beaufort, you can have your stop here and get some ambuyat dose before you reach yoir destination. Haha. While my family enjoyed their ambuyat, I prefer this one, Mee kari banjir.